It is with great sadness, but cherished memories, that the family announces the peaceful passing of Dorothy at the age of 92 years. 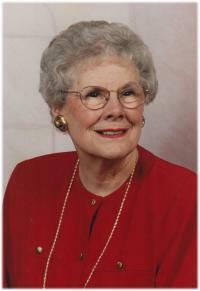 Dorothy will be lovingly remembered by her 3 children: Brenda (Andy) Smith, Randy (Lorraine) and Brad (Brenda); 7 grandchildren: Michael, Stephen, Heather, Amanda, Trevor, Brett and Alyssa; great grandchildren: Fallon, Dale, Thomas and an eagerly awaited fourth great grandchild due in November. She was predeceased by her husband, Murray who passed away in 1980; her parents, and all of her 9 siblings. Dorothy was born on a farm near London, Ontario, the 3rd youngest in a family of 10 kids. Dorothy and Murray were married in 1950, moved to Edmonton shortly thereafter, and became early residents of Sherwood Park in 1960. Dorothy was a loving mother, grandmother and great grandmother who was active, loved to travel, was always ready to share a laugh and a lifelong volunteer in Sherwood Park. Dorothy loved to play games and always played to win. Ask her grandchildren!